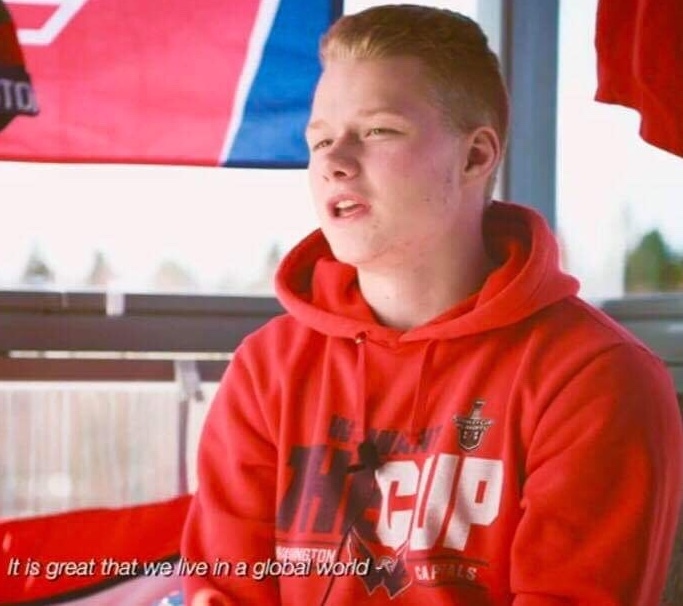 As Game 1 of the First Round Series between the Washington Capitals and Carolina Hurricanes kicks off the Capitals’ Stanley Cup Playoff run on Thursday night, the Capitals’ biggest European fan sent NoVa Caps a video about how hockey gathers a community more. 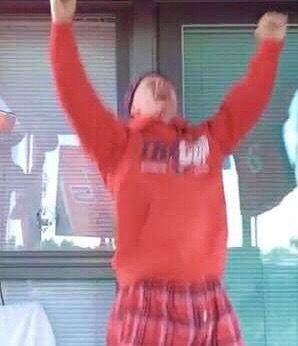 You may recognize the fan, Saku Pienimaki, and that’s because he’s sent NoVa Caps a few videos in the past, most famously his celebration after Capitals center Evgeny Kuznetsov’s overtime goal that sent the team to their first Eastern Conference Final in two decades in Game 6 against the Pittsburgh Penguins last season. A year prior, a video was put out of the fan celebrating and screaming after former Capitals defenseman Kevin Shattenkirk scored the overtime-winner in Game 3 against the Penguins of the second-round series, which cut the team’s series deficit to 2-1. Saku, from Vasso, Finland, also posted his reaction to forward Jakub Vrana’s Game 5 winner with 4:38 to go against the Penguins last season. He went nuts after center Lars Eller gave the Capitals a 4-3 lead with 7:37 left in Game 5 against the Vegas Golden Knights last June, the goal that clinched the franchise’s first Stanley Cup. And now, on the eve of the start of the Capitals post season defense of the Stanley Cup, Saku has sent us maybe his best video yet. As a fan who stayed up until 5:30 in the morning in Rome, Italy one time to watch the Capitals’ 3-2 win over the Chicago Blackhawks on November 7, 2014, it is impressive that this fan manages to do so a lot more than that. This entry was posted in Fans, News, Playoffs, Washington Capitals and tagged Fans, Finland, Harrison Brown, Saku Pienimäki, Stanley Cup Playoffs, Washington Capitals. Bookmark the permalink.